A St. Helens police officer who recently retired had been on paid administrative leave for nearly two weeks prior to his employment ending last month. Anthony Miltich, who was hired in 2013, retired Jan. 1. The former officer had been under internal investigation for policy violations prior to his departure, public records show. In December, Miltich negotiated a severance agreement with the city prior to his retirement that allowed certain disciplinary records and those relating to a demotion Miltich received last May to to be entered into a confidential file. The settlement also allowed Miltich to retain a letter of reference outlining accomplishments and accolades he received during his tenure with SHPD. Additionally, the agreement indicates Miltich has provided continuous service since his employment in 2013 and has been at all times in good standing. The agreement seeks to avoid further disputes and litigation between the officer and the city. Miltich was also to be paid an additional month's salary and for unused sick, compensation and vacation time, and retain medical coverage through January, the agreement states. A copy of the separation agreement was provided to the Spotlight through a public records request. Miltich was placed on administrative leave Dec. 20 during the course of an "active investigation pending into new allegations about alleged violations of Departmental policies," the separation agreement states, although the agreement does not note specific violations. Police Chief Brian Greenway in an email to the Spotlight wrote that he could not comment on the investigation. Miltich did not respond to several requests for comment by the Spotlight's press time. The December investigation was not the only time Miltich was subject to an internal review in 2018. Records from the Oregon Department of Public Safety Standards and Training indicate he was demoted from lieutenant to sergeant last May. 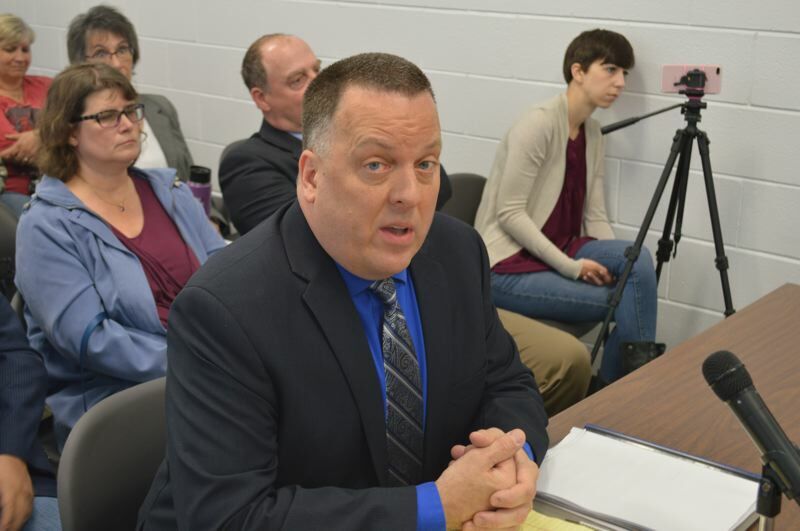 In September following his demotion, Miltich filed a complaint with the state Bureau of Labor and Industries alleging he was discriminated against based on his age around the time of his demotion. Miltich's complaint also included allegations that another SHPD employee made derogatory comments about his age. A spokesperson for BOLI said the complaint was dismissed in November with a finding of no substantial evidence. The separation agreement notes that any documentation related to Miltich's demotion, including an internal investigative report dated April 23, a notice of discipline dated May 8, a letter of appeal dated May 14, and communications from City Administrator John Walsh upholding the disciplinary decision, would be entered into a confidential personnel file. The contents of the December notice of administrative investigation would also be placed in that file, the agreement notes. One of the officers Miltich had named in the BOLI complaint, Kate Welter, left the St. Helens Police Department in January to take a position with the Hillsboro Police Department, DPSST records show. Welter is one of two employees who initiated an internal affairs complaint against Miltich, alleging he had used obscene language in front of a member of the public and made derogatory comments about administrative decisions, Miltich's dismissed BOLI complaint indicates. SHPD is currently advertising to recruit officers to fill the two vacancies it has on its force. Last May, Miltich also applied for a position with the Columbia County Sheriff's Office, which at the time was accepting applications for an interim sheriff following the unexpected departure of former Sheriff Jeff Dickerson and prior to the general election to fill the job permanently in November. Miltich was one of four people interviewed for the job. According to the letter of reference, Miltich was noted to be a proactive investigator of DUII cases and an accurate and effective drug recognition officer during his tenure with the department. In April 2017, Miltich was also recognized for diffusing a mental health crisis involving a female holding a firearm without the need to use deadly force.